One is Tall, One is Small – Together they will plan the perfect wedding day! Meet Elodie Duyker & Alison Hines, the co-founders of Tall & Small Events! After working together in the non-profit arena, Elodie and Alison decided to make the jump to the wedding world, founding Tall & Small Events. Since then, these ladies have been coordinating some of the raddest weddings and events! When we heard what their clients had to say about them, we knew we HAD to work with these talented ladies! Tall & Small Events is coordinating the Vendor Social at MyMoon on Tuesday, 4/19, from 6-9pm. We cant wait to see what this dynamic duo comes up with! When did you decide you wanted to open your own company? Alison: Elodie and I met working for a company that manages non-profit organizations. I specialized in operational logistics, Elodie ran the crap out of the events and conferences. Through a series of a-ha moments, I realized that rather than running other people’s passion projects, I could run my own. Around that time, I also officiated my first two weddings and totally fell in love with it. Between Elodie and myself, it became apparent that by our powers combined, we could make a splash in the wedding planning scene. Elodie: I have been working with weddings in some capacity for the past 8 years. When Alison approached me with this opportunity to get involved it was a logical next step that I couldn’t refuse. It also was apparent that there was a gap in the market for planners who wanted to focus on progressive, modern couples which is right up my alley, so it was a perfect fit! Our main focus is providing month-of wedding planning and partial wedding planning services. Alison is also a licensed officiant in New York, New Jersey, and Massachusetts! Tall & Small turned 1 in January! It sounds a little cliché, but meeting really awesome couples who compliment and bring out the best in each other is a huge privilege of what we do. We particularly love helping a couple incorporate their personalities and story into their wedding, to really make it their own, and not a cookie-cutter moment. We’re #girlboss feminists all the way and it’s really fulfilling to us to help couples feel comfortable thinking outside the box, flipping the script, and making their own traditions. Do you have a favorite memory related to your business? Like we mentioned before, a huge joy about choosing this industry for our day-to-day work is getting to know the couples we work with. Hands down, one of our most memorable moments came from a wedding where the bride and groom were expecting their first child. They surprised their families and friends during the cake cutting to announce that they had given the baker a sealed envelope from their doctor and that the top tier of their cake would reveal if they were expecting a baby boy or girl. Once they announced the gender, their families rushed up to their table, hugging them, so full of excitement and love. Not a dry eye in the house — including us! Do you have a favorite type of event/wedding/etc? We love non-traditional weddings where the couple is really invested in incorporating their personalities and values their celebration, putting a unique spin on the status quo. Is there anything else you’d like our readers to know about your business? We like to consider ourselves progressive wedding planners, planning for today’s modern couple. Fun facts: Elodie speaks French fluently and Alison is fluent in American Sign Language! – Where can I park? There are 3 parking garages within 5 blocks of MyMoon: Impark Garage on Bedford Ave., MTP Parking on Union Ave., and a parking garage on Wythe Ave.
– Is my registration/ticket transferrable? 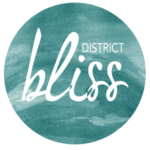 You may not transfer your ticket without the permission of District Bliss. Additionally, tickets are not transferrable between vendor categories.